Ever wanted axe for your hunter? My girlfrind for dragon engraving texture. Adds two new axes. 1 handed and two handed. Craftable, upgradable and enchantable. 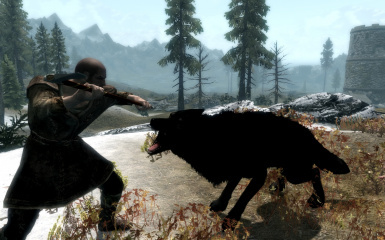 Available for Xbox on Bethesda.net. 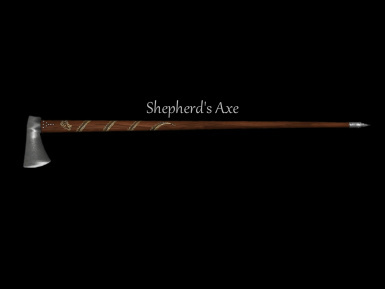 As part of Garrus's Axe Compilation or alone﻿ by Tarshana's mod team. 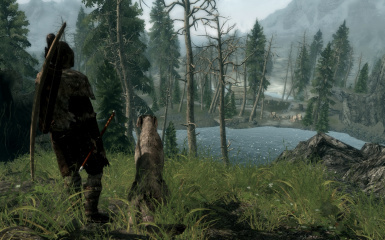 Available for Skyrim SE by Hilli1 here﻿﻿. 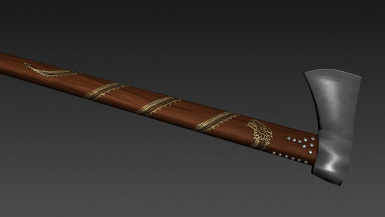 Shepherd's axe (also known as valaška, fokos or rabanica) has been for centuries favorite tool of shepherds in Carpathian Mountains (borders of Czech Republic, Slovakia, Poland and continues through Ukraine, Hungary and Romania). Light and long axe is truly a versatile multitool. 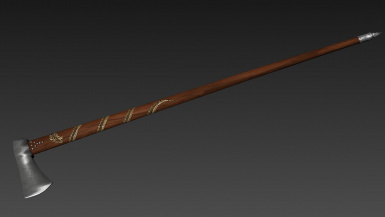 It's been used as a walking stick, for chopping branches, hooking high growing apples, fending of wolf, self defence and even in a traditional dance. 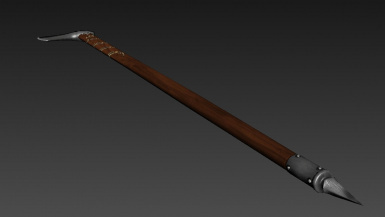 Not a weapon for a brute warrior, but an essential tool for a hunter, ranger, highwayman or even swordsman tired of swords. Smithing: For 1 handed you need 1 firewood (for handle) and 2 steel ingots. For 2 handed 2 firewoods and 2 steel ingots. 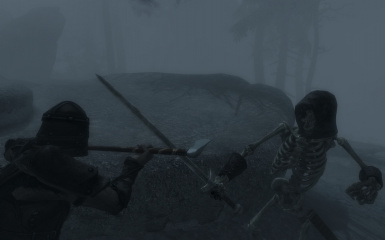 Both axes are in the "steel" section and you need "steel smithing" perk to craft and upgrade them. Both are also enchantable. 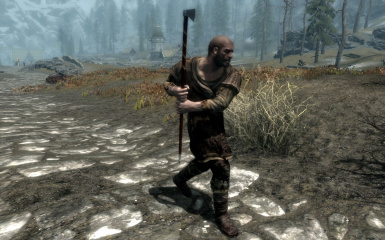 Stats: 1 handed axe has slightly lower damage than standart steel axe (due to a smaller blade), but is much faster and has far better reach. 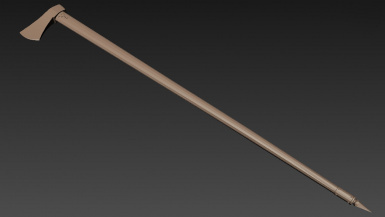 2 handed axe lacks in mass and is slightly shorter than steel battleaxe, but is much faster and lighter. or "merge" in Mod Organizer. Standalone .bsa packaging for easier manual instal/uninstal. Translation: French translation thanks to Setvi. 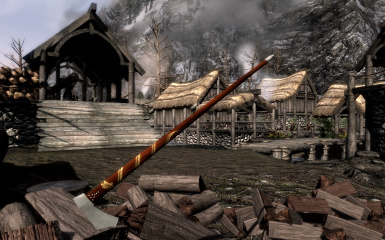 axe to chop wood on wood chopping block, but in animation is still shown vanilla woodcutter's axe. 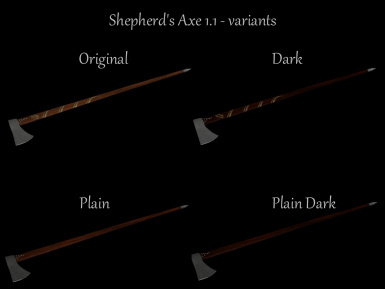 Meshes and 4k textures are custom made and shape is inspired by various shepherd's axes and especially Valaška by Sharp Blades. My girlfriend decorated axe shafts with dragon engraving. So many thanks to you. It won't be whole without your help. 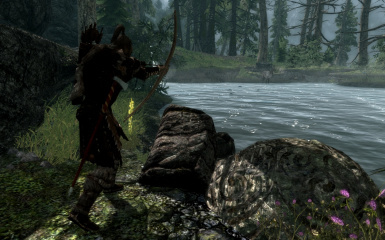 Have fun chopping away the daily troubles of an adventurer.